Home » Music Reviews » Mark William Does It Again! 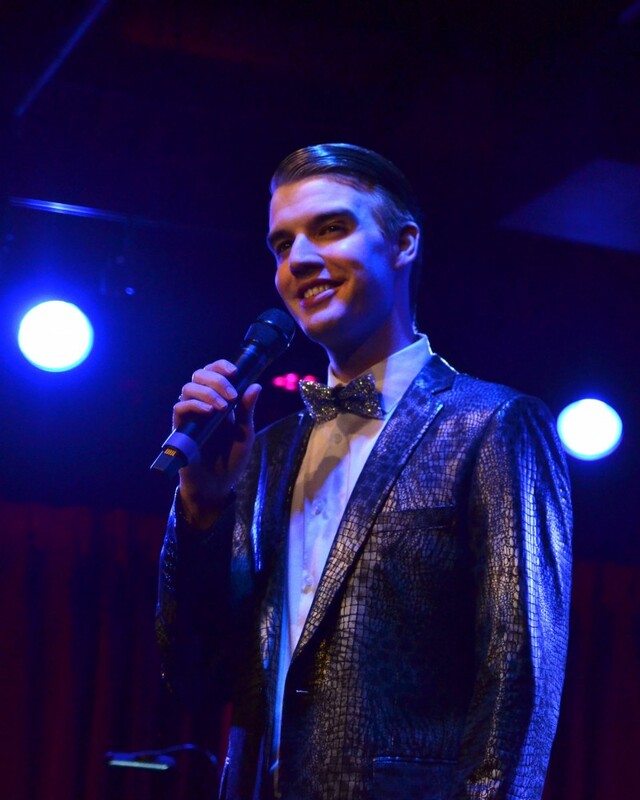 This smart, snazzy, stylish and savvy crooner, once again, regaled a full house of fans at The Green Room 42 reprising ‘Come Croon With Me’ on March 29. Dressed in a silver skin jacket and sequin bowtie, he’s reminiscent of the great days of Hollywood, a time period known as the golden age. It’s a unique treat seeing one so young in possession of not only extraordinary vocal skills, but a stage presence and assurance that would be displayed by a more experienced performer with many more years under his belt. Mark’s song choices make up a basket of the best of the Great American Songwriters, from ballads to swing, many with their own unique arrangements to the credit of musical director Clint Edwards. This “nerdy old soul” (as Mark refers to himself) can spin a song with the best of them putting his own stamp and interpretation on each. 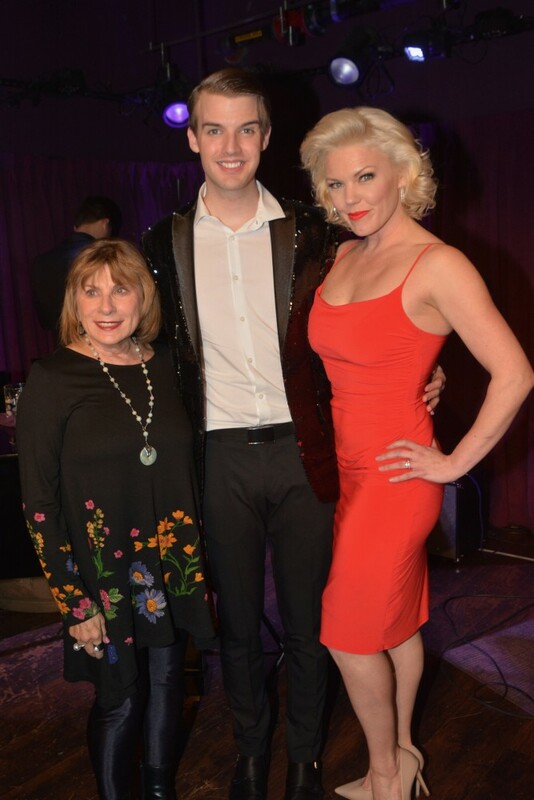 A Jerry Herman aficionado, “Put On Your Sunday Clothes” was a prime example of just one of Clint Edwards’ special arrangements that came to life in the able hands of Mark William . . . a real highlight! The Peter Allen Medley was especially powerful as a mantra – “Just To Get My Name in Lights” – “Everything Old is New Again” and a very poignant “ All I Wanted Was the Dream.” The perfect ending to this evening, written by Maury Yeston – – “I Want to Go to Hollywood,” was followed by the penultimate encore, “Let Me Be Your Star” (Marc Shaiman & Scott Wittman). Bet your bottom dollar, it won’t be long till this becomes a reality for this song and dance man! 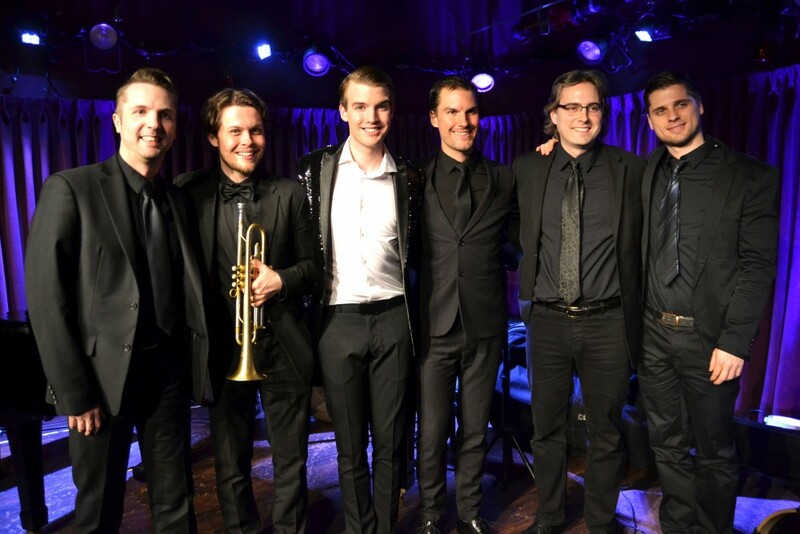 Band members included the very talented Jonathan Ward on drums, Sam Zerna on bass, Jernej Bervar on guitar and Oskar Stenmark on trumpet. Some of the notables in the audience included: Alexandra Silber, Paige Davis, Craig Brierko, Frances Ruffelle, Nicolas King.